Despite its large size, the 2018 Nissan Pathfinder is fully capable of dominating on and off-road paths. This popular seven-passenger vehicle uses a robust engine and a fine-tuned suspension system to get you to your destination safely. Whoever said that all SUVs have a boxy build clearly hasn't laid eyes on the 2018 Nissan Rogue. This popular compact SUV has an aggressive exterior body. Sweeping lines and dramatic angles are used to create a sporty look. The overall profile is complemented by angular accents throughout. The most noticeable is the V-Motion grille. The grille is wide and tall for enhanced air intake. Mirror chrome accents add a touch of sophistication. 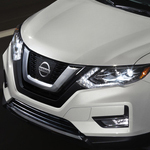 On both sides of the grille are angular headlamps. They utilize a boomerang-inspired design that follows the slopes of the hood. These fun games to play in the car are great for kids of all ages and not only will get them off their mobile devices, it will help to pass the hours quickly. To play the License Plate Game, hand out a few pieces of paper with states listed on them. As a car passes your car, the kids must identify the state and be the first to yell it out. The first child to get all the states or is in the lead when time expires is the winner. 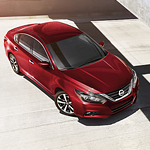 The 2018 Nissan Altima is a versatile choice of sedan with premier engines available. Four-cylinder is a high performance small engine that gets great fuel economy. It has advanced intakes that optimizes the valves. The process keeps the torque curves flat and offers the driver good power with fuel efficiency. 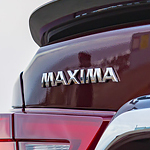 What features does the Maxima SR have? It’s a common question that we get here at Route 46 Nissan on this popular luxury sedan. The 2018 Maxima SR utilizes a dynamics-control module that aids in the performance and handling of your sedan. What does this mean for your drive? The system can handle braking on an individual wheel basis for added steering controls on curves. It can also anticipate your braking needs so that you can have a smoother deceleration and avoid sudden stops. If music and entertainment are important to you in a car, you'll be happy to know that the 2018 Nissan Altima is available with impressive technology. 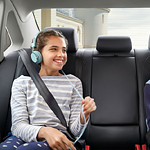 Nissan offers a robust sound system and infotainment center so that you can experience media the way you want to. This Nissan Titan is one of the most popular full-size pickup trucks on the market for a reason. This durable, high-strength truck has all the performance capabilities drivers look for in a truck, from its V8 gas engine to its towing capacity. Without a high-powered engine, even the most rugged pickup won't pass muster. Fortunately, the Nissan Titan comes standard with a V8 gas engine that delivers 390 horsepower. The engine's many great features enhance the truck's performance and efficiency, including the variable valve event and the 4-valve-per-cylinder design. Most people have seen the new Nissan Rogue. It's one of the top compact SUVs on the market and has received considerably high ratings for safety and interior design. The performance features that drivers love the most include the sport-mode button and driver assistance features that have the latest technology. The Pathfinder has long been synonymous with space and comfort. However, the seven-passenger SUV also packs the performance. The Pathfinder comes standard with the 3.5L direct-injection gasoline or DIG V6 engine that provides 284 horsepower and 259 pounds of foot torque. You can easily tow up to 6,000 pounds with ease and get impressive fuel economy. Whether you are traveling in the middle of winter on snowy roads, during summer on rough roads, up or down hills, the intelligent 4x4 technology enables you to select the driving mode that best fits the situation. Shopping for a new vehicle can bring about a lot of decisions. Once you start looking you realize all of the different features that you have to consider. In addition to the amount of power that is under the hood, safety features and exterior design, you have to think about what you want in a vehicle's interior. 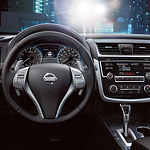 The Nissan Maxima is a vehicle that has a lot of thought behind it when it comes to the comfort of the interior as well as the functionality.